At the end of May, Charlie and I travelled to Iceland for the first time. We only had 4 days to visit this awesome country and considering how much there is to explore, we had to plan our time wisely. I knew we had to see the Golden Circle as this is one of Iceland’s most famous sights. 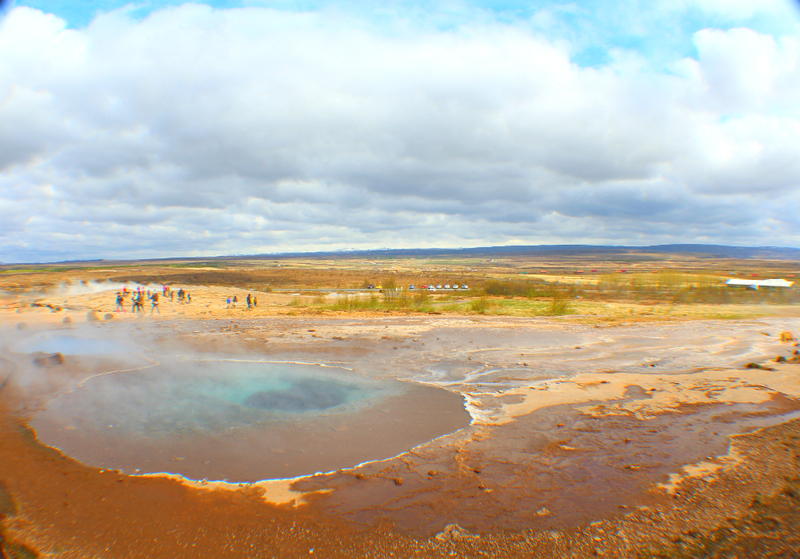 As we only had a limited time left, we decided to go with the Golden Circle afternoon tour from Bustravel Iceland. So let’s go… we got picked up at our apartment just after 12 noon. After collecting a few more people, we drove just outside Reykjavik downtown where we boarded the actual tour bus with 20 other people. 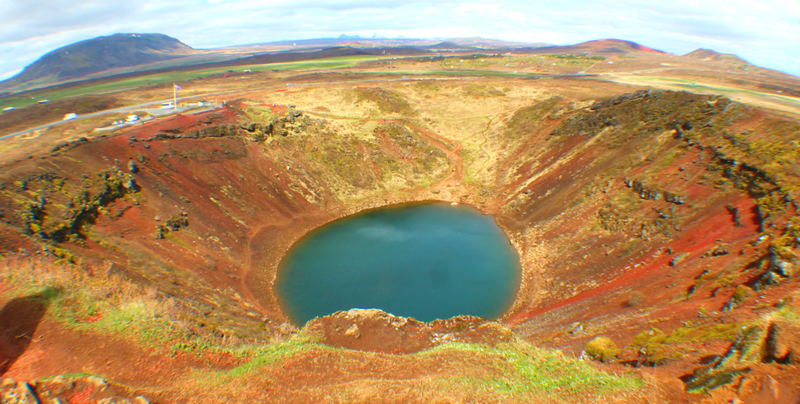 For the first 90 minutes we’re driving through the beautiful landscape passing volcano’s and lava fields before arriving at our first stop Kerið – a crater that was formed around 6,500 years ago. Today, it’s popular with tourists and locals alike – it’s even being used as a cool music venue. 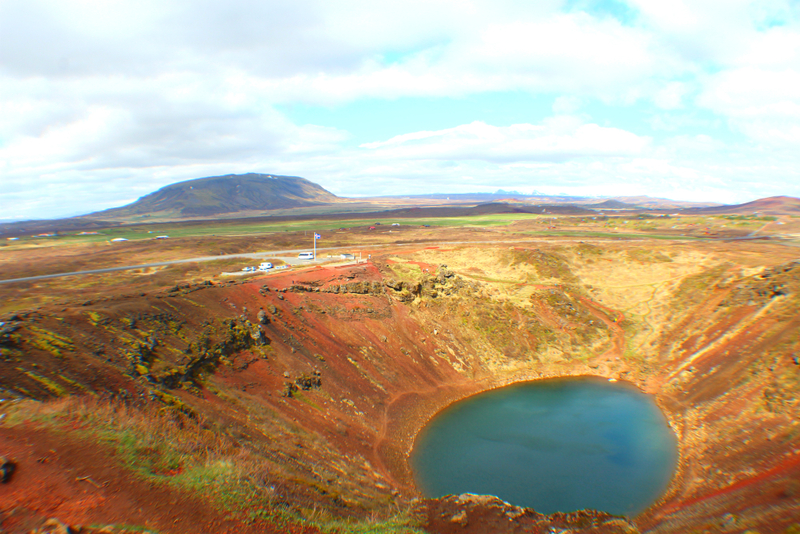 It takes around 15 minutes to walk around the crater and we got some stunning views from the top. You can also walk down to the lake if you like to get a close up of the turquoise-colored water. 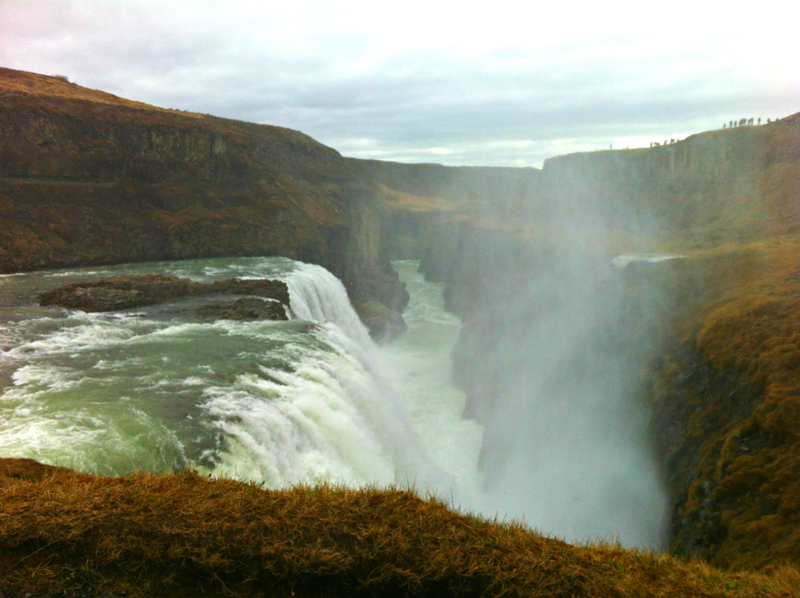 After 20 minutes, we had to get back on the bus to head to our next stop: Gullfoss – the famous and beautiful waterfall also known as the Golden Falls. 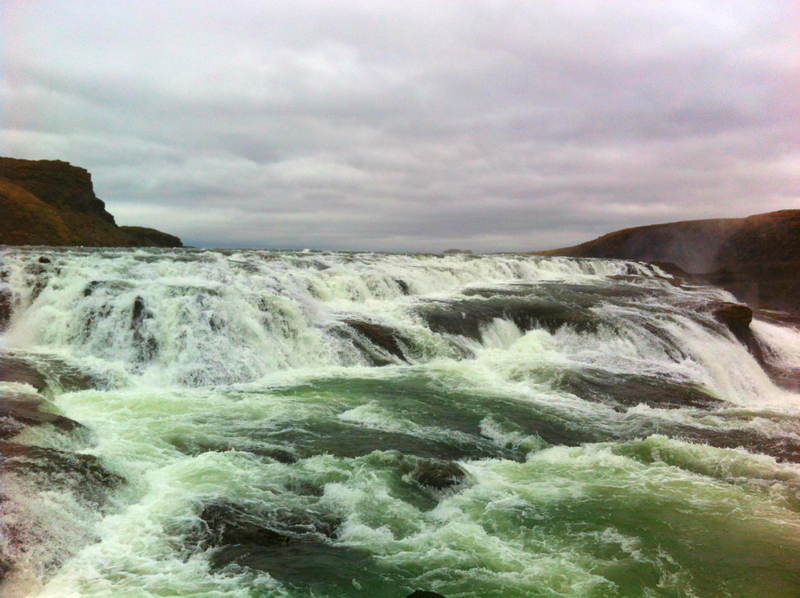 We had around 30 minutes here and were able to view Gullfoss from two different platforms. It was impressive to see the water plunging down into a canyon from such a close perspective. It wasn’t busy either, so we had plenty of space to move around and take nice pics. 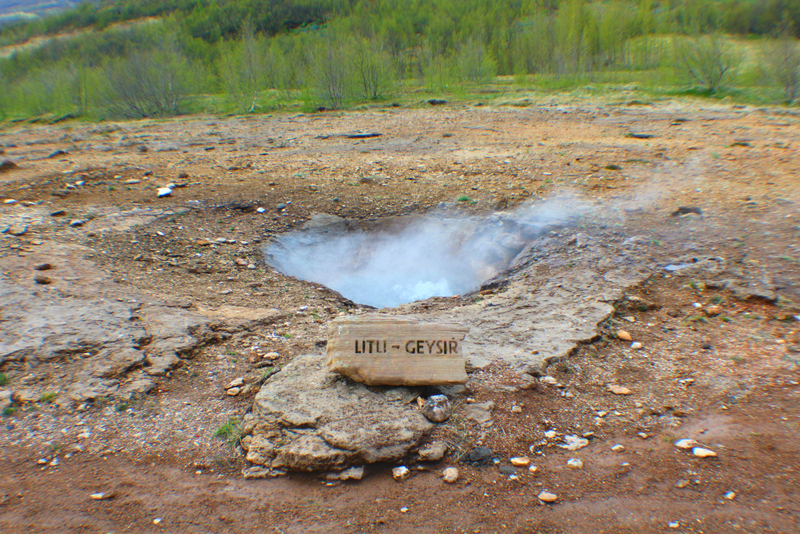 The third stop was Geysir which we’ve already passed on the way to Gullfoss. This was my favourite stop and luckily we had 45 minutes to explore. 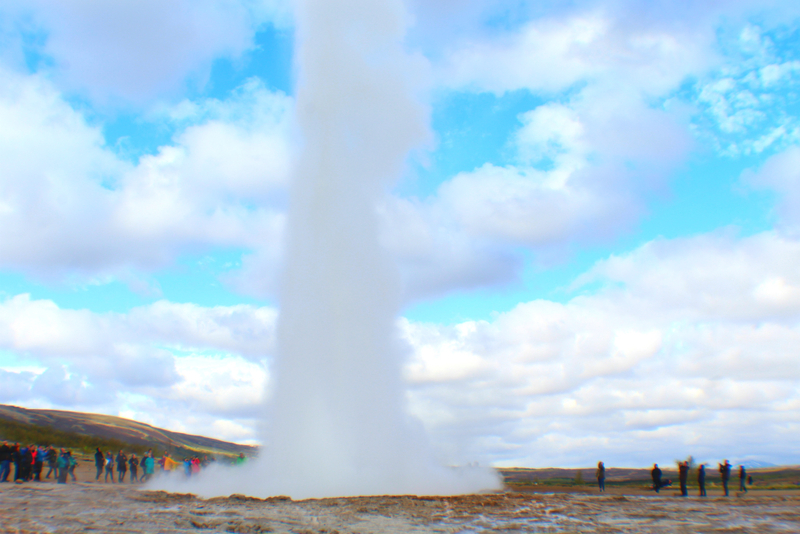 Strokkur is currently the only active geyser that erupts every 5-10 minutes. The explosions were very impressive and it was fascinating to watch the water bubble until it actually spouts to a height of around 10-20 metres. When I stood close to Strokkur to take pictures, it constantly made me jump hence why it took me a while to take some decent pictures. 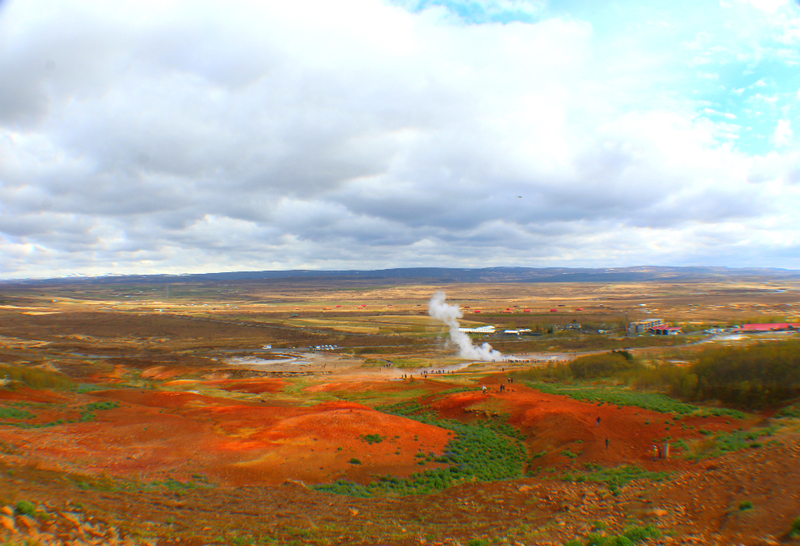 Btw: The smell of rotten eggs (from the sulphur) is very intense but that’s something you kinda get used to in Iceland. At 17:00 we arrived at our final stop being Thingvellir National Park. This has become a historic location as it’s where the oldest existing parliament in the world was first assembled. 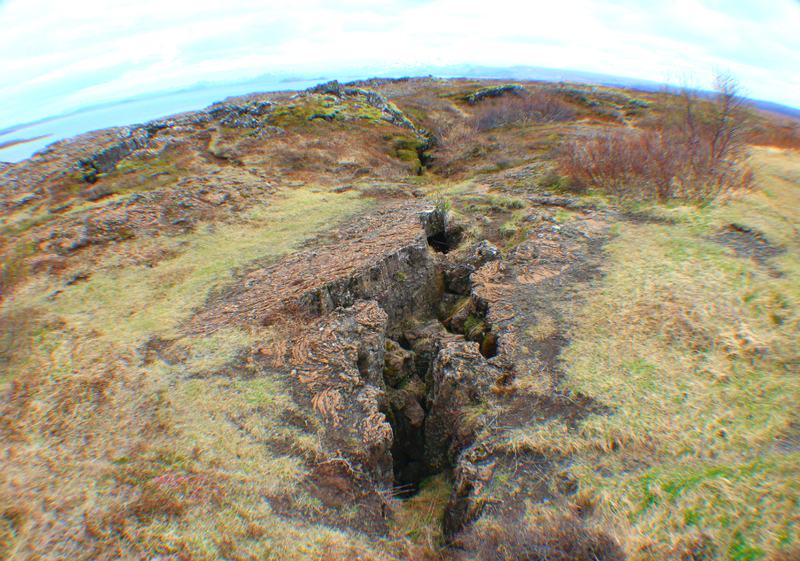 Today, it’s a UNESCO World Heritage Site where the Eurasian and North American tectonic plates meet as well. 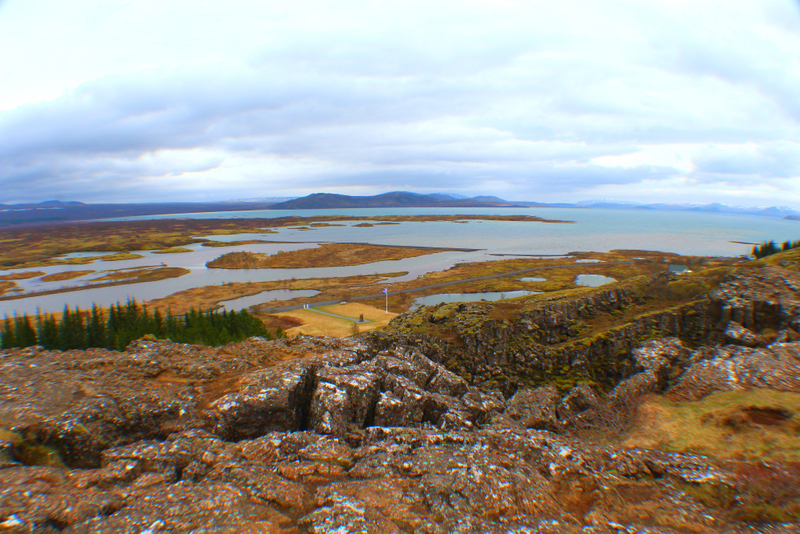 From the viewing platform, we got a beautiful view over Þingvallavatn (the largest lake in Iceland) and Iceland’s landscape. The lake has crystal-clear, blue water that makes it ideal for fishing and diving. Our tour guide told us that the water is that clear you can still see the sky and people waving from the ground of the lake – how cool is that?! 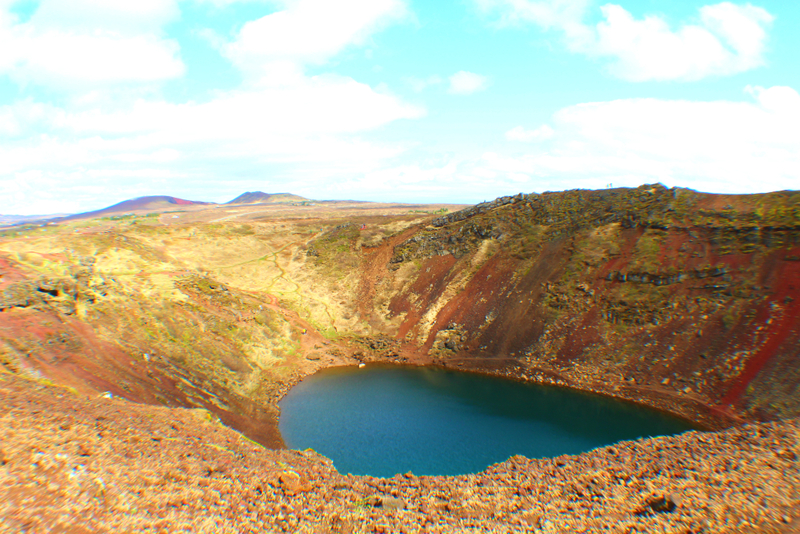 Also, Games of Thrones was filmed here – do you recognize the landscape? We had a few minutes left, so we walked through the Rift Valley and got even more beautiful views. That’s it… we got back to Reykjavik at 6pm, so it was a very action-packed afternoon. If you’re here for only a short time, this is the perfect trip as you see the beauty of the Golden Circle in just half a day. If you have more time, consider doing the day tour as we sometimes had to rush and wished we had more time at each stop. Nevertheless, I really enjoyed this tour and it’s definitely a must when visiting Iceland for the first time. Plus, the coach journey was a nice drive through Iceland’s beautiful landscape and our tour guide kept us entertained with interesting and funny facts about Iceland. Are you heading to Reykjavik soon? 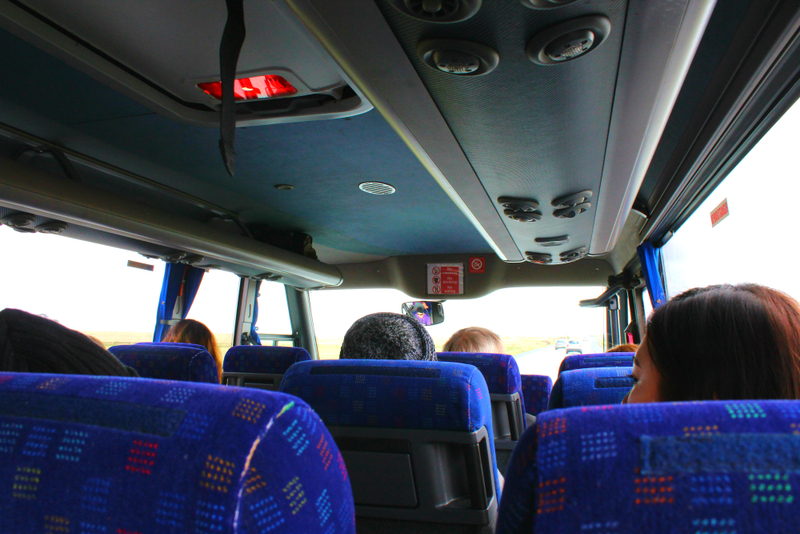 Then make sure to check out Bustravel Iceland – they’ll be able to help you with a great day or afternoon trip. Is Iceland on your bucket list? Or if you have already been: What did you enjoy the most? 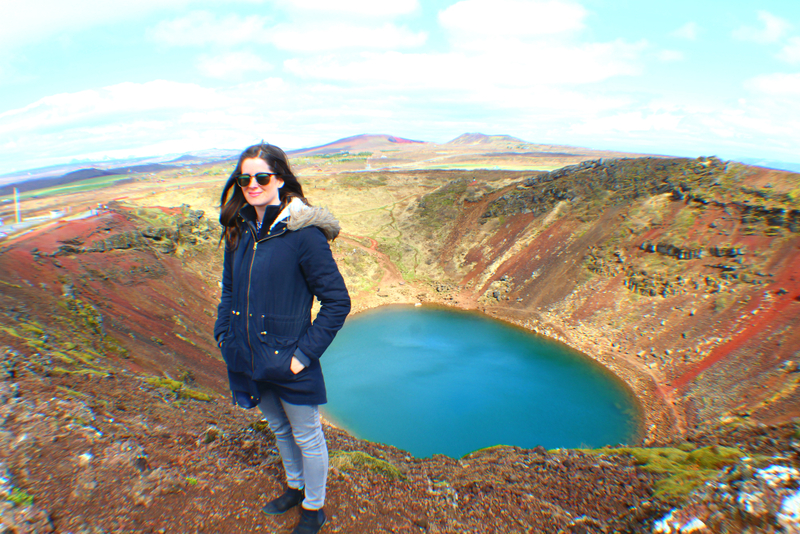 Total blogger transparency: I accepted this tour free of charge from Bustravel Iceland but don’t worry, all thoughts and opinions expressed are my own. Awesome! 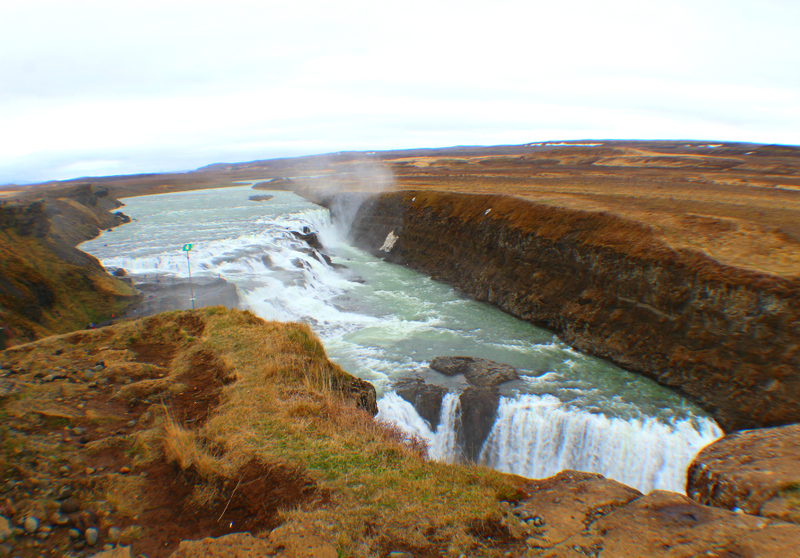 I just did the Golden Circle with Reykjavik Excursions. We ended up upgrading from a Northern Lights tour because the weather was awful and it was the best decision ever! Beautiful place! Such a great tour and awesome spots in my favourite country. Wonderful photos as well! Thank you David – it’s an amazing country, isn’t it?! Iceland is definitely on my bucket list. So beautiful and great places to explore. Love all your pictures makes me want to go this year. Thank you Lisa, hope you get a chance to go this year – it’s such a beautiful country! 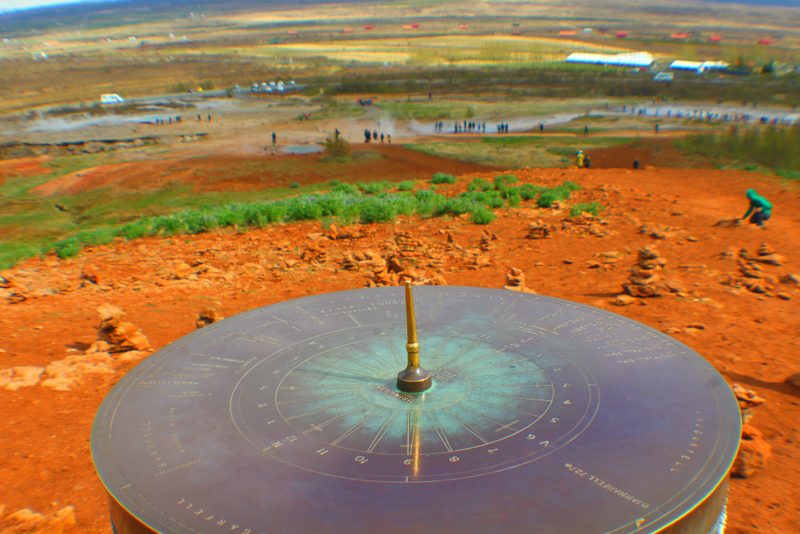 Yes, it’s definitely worth doing if you want to see the main sights of the Golden Circle in just an afternoon. Hope you get a chance to go soon! Iceland is definitely on my wish list Sina. 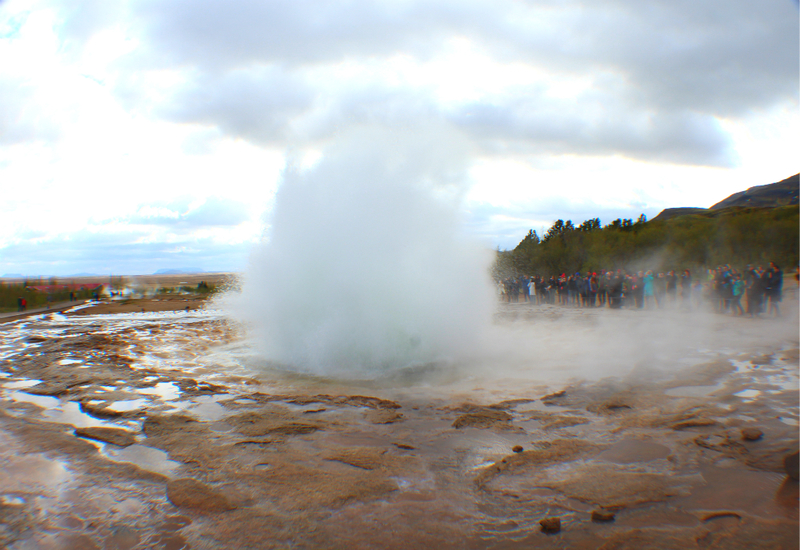 The geyser looks incredible along with the rest of the scenery. I think I recognise the GoT location. This post brings back some memories. We visited Iceland last year in March and we enjoyed every single minute of it. We haven’t been to the crater but we crossed off the rest from our list. Great pictures, thank you for sharing. Thanks Oana! Glad to hear that you enjoyed Iceland as much as we did – it’s an amazing country, isn’t it?! All these Iceland posts are really making me jealous! It’s such a beautiful country and you guys managed to pack so much into your day! 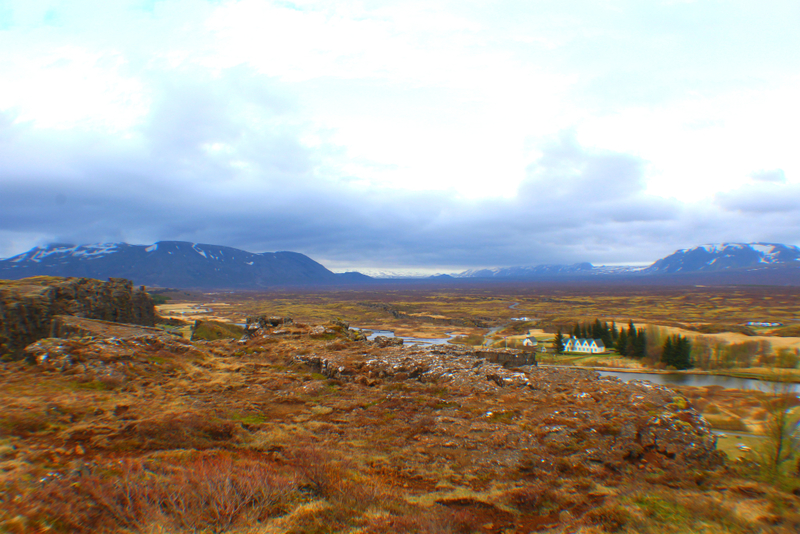 Stunning views and I love the Thingvellir National Park! I really need to go! Thanks for sharing! Looks fabulous – must go. I keep saying that. Rapidly becoming the top country on my bucket list! Wow this is beautiful! 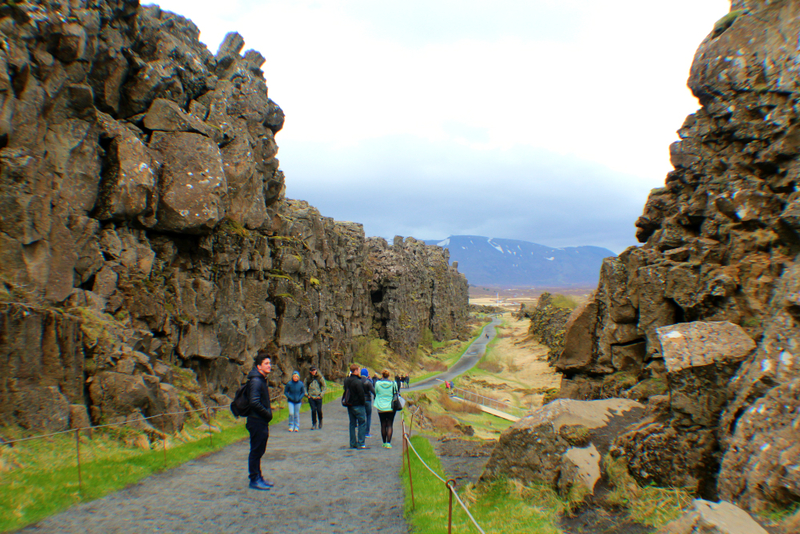 It’s a part of Iceland I didn’t know about – thanks for sharing! Wow, that is so much to fit into one afternoon! Looks like a great trip. I’m glad you enjoyed the post Stephanie! Iceland is a beautiful country and I’m already planning to go back during the winter because I couldn’t decide either when to go 😀 Hope you get a chance soon! Yes, it is quite a popular place 😀 It’s such a beautiful country, hope you get a chance to go! Iceland looks amazing! I saw photos of this place before but completely forgot about it! So beautiful! iceland is on my top 10! Nice photos! All are very unique, I never seen any of that in our country.